My family loves to make homemade applesauce when apples are in season and abundant. But another great way to use up in season apples is baking with them. Apple pie is always a possibility. But if you’re looking for something caramelized and gooey (rather than spiced) this apple tarte Tatin is an excellent choice. When done right, it also looks amazing on the table. 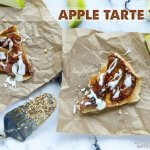 What is Apple Tarte Tatin? A tarte Tatin is an upside-down tart usually made with apples that have been caramelized in butter and sugar. The tart is baked with the crust on top and then flipped over for serving. The apples are usually arranged neatly in the pan so they look beautiful after being flipped. The tarte Tatin was created by accident, according to common belief. The tart was named after the hotel where it became famous. Two Sisters named Caroline and Stephanie Tatin ran the hotel Tatin In France in the 1880s. It’s unclear exactly how the tart was created but the most compelling story is that one of the sisters, Stephanie, was caramelizing apples in butter and sugar for an apple pie. she forgot about the apples until she started to smell them burning. In order to try to save the apples, she threw a pastry on top of the pan and placed it in the oven to finish baking. After baking, she flipped the tart upside down and served it to the guests at the hotel. She was surprised to find that they loved it and it became the signature dish of Hotel Tatin. Also, consider using a variety of sweet apples and tart apples for the best flavor. 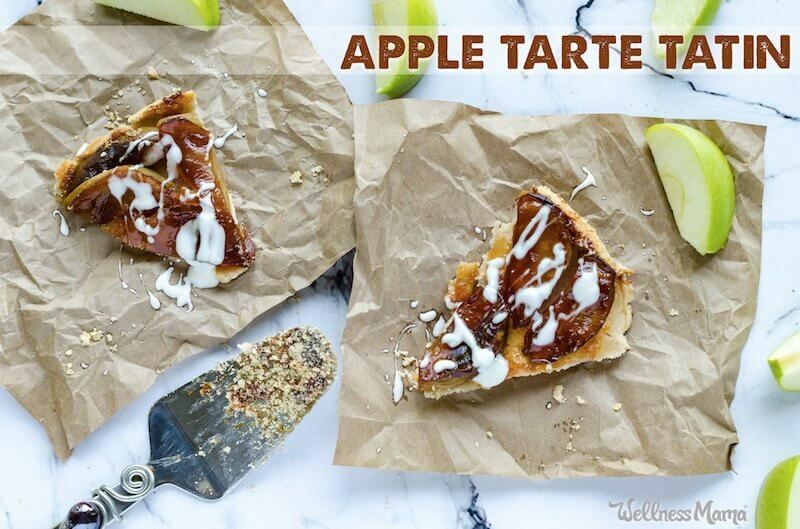 Many people prefer sticking with tart apples since they will be sweetened during cooking. If you like fruit dessert recipes here are some other recipes that you’ll love. Berry Cobbler – A healthy dessert made with seasonal berries and optional honey. Coconut Mango Popsicles – This summertime treat is easy to make using fresh or frozen fruit. Glazed Pears – This simple recipe is tasty and elegant, making it perfect for a family gathering. Strawberry Gelato – A kid-friendly dessert that is a favorite in our home. This recipe is delicious and healthy. Pineapple Upside Down Cake – Healthy enough for breakfast and tasty enough for dessert. This recipe uses coconut flour as the base for a filling treat. Peach Cobbler – This recipe is a staple when tasty peaches come into season. 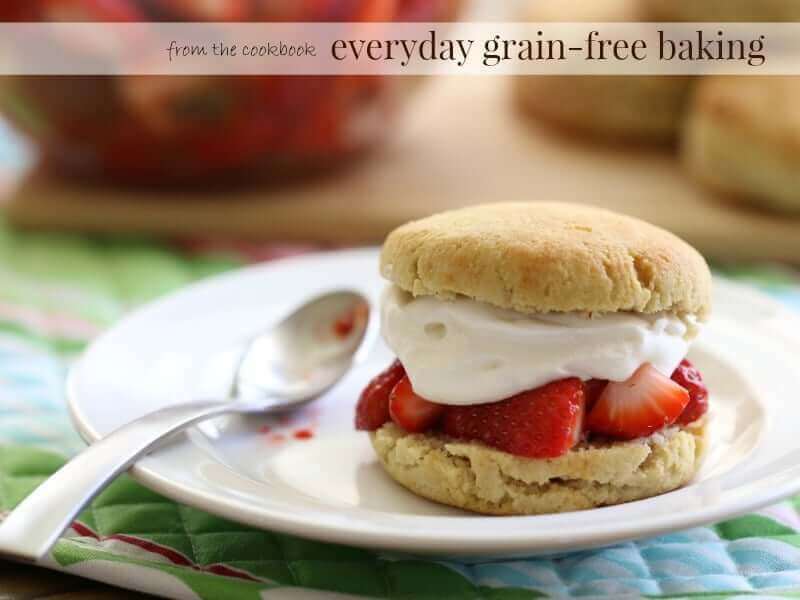 It can also be made with any other soft fruit or berry. Next, I want to try these Chocolate Berry Bars, which look delicious. A sweet apple dessert that apple pie lovers will enjoy. Place them in a medium-size bowl, pour the apple cider over the top, and set aside. 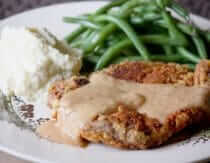 To make the crust mix together the cassava flour, ¼ teaspoon of salt, and 2 tablespoons of sugar in a medium-size bowl. In a small bowl beat the egg and ¼ cup of milk together. Make a well in the center of the flour mixture and pour in the egg mixture. Place the dough for the crust in the refrigerator until it is time to roll it out. To make the apple filling place a 9-10 inch cast iron skillet or frying pan on the stove on medium heat. When the pan is hot, add the ½ cup of sugar, water, and the cider from the apples and bring to a boil. Add the sliced apples to the pan. Cook about 15 minutes, gently stirring occasionally until the sauce is reduced and starting to turn a golden brown. While the apples are cooking, generously sprinkle cassava flour on the countertop and roll the refrigerated dough into a circle large enough to fit inside the skillet and cover the apples. Once the apples are done cooking, it is time to top them with the crust. If you are using an oven-proof pan you can do this directly in the pan. If not, you will need to transfer the apples to a baking dish, such as a pie pan. Place the rolled out dough carefully over the top of the apples, using a spoon to tuck the edges down around the apples slightly. 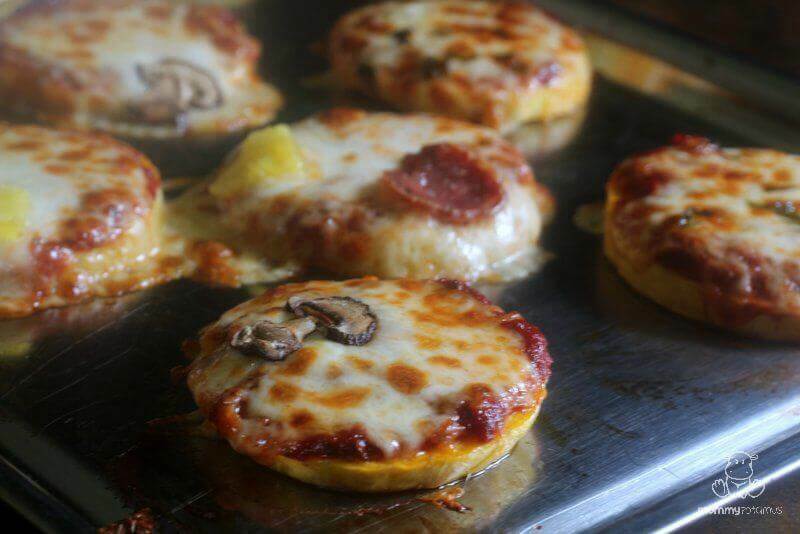 Place in the preheated oven and bake for 20-25 minutes until the crust is golden brown. Let sit for 10 minutes and then carefully run a knife around the edges, place a plate over the top, and flip the tarte onto the plate. Cut into wedges and serve with some creme fraiche if you wish. Have you ever made a tart before? What is your favorite flavor or tart? Hello Heather, I am newer to your site and just want to say I LOVE it and think you are great! I just made your ancho chili roast in the crockpot and it is great! The link to how to make the gravy didn’t work though. Do you remember what recipe you used for the gravy? Thanks! Thanks, Laura. Pretty cool you can go out into your yard for apples! I dream of my own orchard some day. You could give it a whirl with pears…. I love your dishes, where did you get them? The pot was an amazing find at Marshalls/TJMaxx! Where do we use the 3 Tbsp of butter for the filling? Do we cook it with the cider/water/sugar or add it before putting the crust on?